On the 2nd, the first Must watch edit of the month. There is literally only one rider that could song jack Kevin Jone’s infamous Dorkin’4 part and the use of The Who’s “Pin ball wizard” and that is James White! With Master of Creativity deadline yesterday I am kind of surprised to see this, but the man is so full of surprises I should stop being surprised really! 00:54 – Xft lawn flip gliding gerator double undertaker line. 1:04 the style on the half hiker pressure flip xft one handed karl! 1:18 – Xft lawn flip gliding gerator opposite ice cream two footed backyard gliding gerator regular side walkover decade out! 1:53 – Xft stubble duck gliding gerator to whiteski signature decade out. The last three bangers from the 2:33 mark – Xft ride in to whiteski signature decade out! Love the simplicity! Followed by a subtle bar flip to his signature zinger bunny hop move followed by one of the best line sod the year – xft ride flip to gliding gerator whiteski smith decade jump lash off same foot whiplash out! Go and watch this right now! Only James can song jack this, seriously! Great edit by OG Marton of Mates Tucek killing it at the Vienna Flat Jam 2016 dropped on November 3rd, in particular the last two lines from the 1:43 mark: the xft halfpacker flip to crackpacker, and the backwards hang five jump to crackpacker! Alos on that same day, New fire out of the talented Austin Luberda, look out for the time machine round the back full body varial back to time machine at 2:37! Hell yeah Austin! Paul Osicka presented the Nora Cup award this year to Viki Gomez, and managed to steal the show! On November 4th, we got to see why! 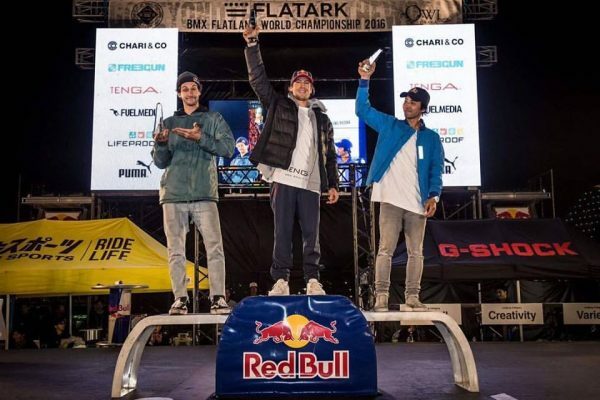 There was a rumour that flatland legend, Paul Osicka dropped a little part whilst he presented the award for flatlander of the year at the Nora Cup awards in Las Vegas. Well that rumour is true, and from the 00:53 mark you get a real treat with some fresh Osicka footage, the spinning nose wheelie at 1:17 is off the chart, style for miles! Respect!!! November 6th was an amazing day for flatland. Two Must watch edits in a day, going soft? Not at all, the 2016 Master of Creativity without a doubt has brought the highest level of the year. Congratulations to Pedro Melo who ended taking the final round followed by George Manos, and John Yull, Mateus Beckmann and Thomas Noyer! On the 12th, Who doesn’t love a OG Marton produced edit? Put Marton and Viki Gomez together and you have a nice treat, especially the fun vibe in this one with Viki jamming on Marton’s bike at 00;12. Blended in with the current multiple pivot style Viki is exploring on the back wheel, this is a good watch! 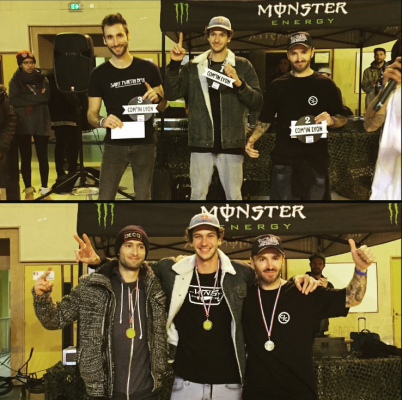 On the 13th, Congratulations to Matthias Dandois who won the annual Com’in Lyon contest and took home the win in the French Cup followed on the podium by Alex Jumelin and Joris Bretagnolles. In the year end points, Matthias was followed by Alex Jumelin and Thomas Noyer, congratulations to all! On the 16th, we got to a great highlights edit from Dub’s Real City Spin contest in Montreal, worth watching again! 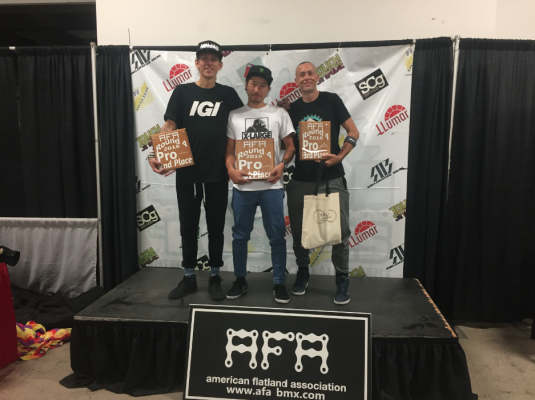 On the 20th, Congratulations to Moto Sasaki who just won the Battle in the Rockies 2016 contest here in Colorado Springs in an amazing final battle with Jean William Prevost and Will Redd took the third place! If you are keeping tabs, that’s two wins in a row at BITR for Moto! Dub also won the best trick contest that went down before the final battles. Check the intense final battle again! On the 23rd, Michael Steingraeber & James McGraw got in one last session at the Tintadome before Michael was due to fly back to Germany, as it turns out this may not be Michael’s session as Lufthansa are currently on strike. Good vibes and a lot of screaming as you would expect from James McGraw, especially liked the forward karl round the back right hand side halfpacker (and also change direction) opposite circle k to opposite body varial out! On the 27th, I’m a big fan of Sietse van Berkel’s riding, so I was stoked to wake up this sunday morning to a fresh “Junglerider 2016” edit from the man himself filmed over the summer and autumn period. Especially liked the two footed front yard turbine pendulum line around the 1:17 mark, but much more than that the way Sietse moves around the bike in effortless fashion is so great to see. Thanks for sharing with the flatland world, Sietse! November 28th and a week after BITR. 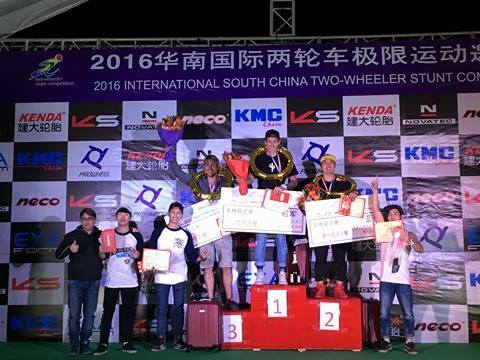 Congratulations to Jean William Prevost who took the win this weekend at the 2106 International contest in South China, Dub was followed by JiangHuangJie and third was Joel Schallhorn. Dub made the trip back to China to escape the canadian winter and get some riding time in over the winter months. Also on that same day, Paul Chamberlain won the Downunderground round 3 this weekend, that took place at the Melbourne Museum. Congratulations to Paul! Big news at the end of the month! 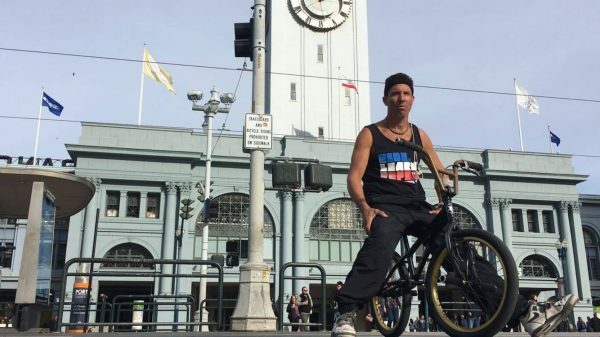 Big news to start the week, Nor Cal flatland legend Pete Brandt just joined the Quest BMX crew! I caught up with Pete, and the owner/manager Danny Sirkin and Steve Lapsley to get their reaction to the news. Effraim: Hey Pete just heard the big news about you getting on Quest bmx. Firstly congratulations, how do you feel about the hook up? Pete: Thank you man!! I really appreciate the hook up and I was in fact really looking at this frame before the hook up and was really interested in riding it. I set the frame up in 15 minutes everything went smooth and no warm up time at all. Effraim: What are your ambitions for the 2017 season? Can we expect to see you at any contests? Pete: Main ambition is too ride hard, progress, have fun and flow. I hope to go to contest this coming year, I always love seeing everyone and competing. Effraim: Any signature parts planned Pete? Pete: Signature parts would be awesome I always love doing signature parts because there is a lot of parts out there that aren’t flat specific, it would be nice to keep things coming out with specific geometry, reach, sizes and reactive. Danny, and Steve! What a great addition to your team, what’s your initial reactions to this great scoop? “Pete is a worldwide flatland icon. He has been an amazing ambassador of the sport for over 20 years. We are excited to not only add another great rider to the QuestBMX team, but a great person as well.” Steve Lapsley, Quest team manager. 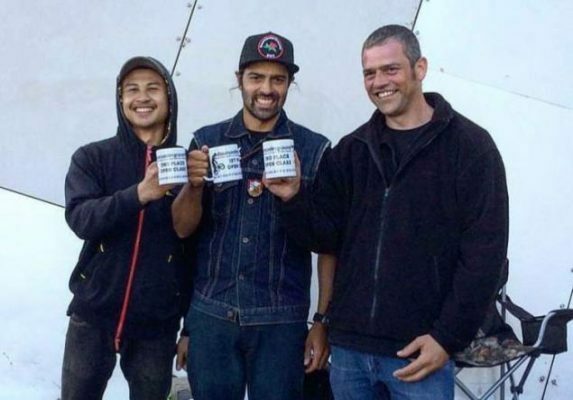 “We are super stoked to have Pete join the Quest team! He is a staple of the flatland community and always brings such high energy to everything he does! “ Danny Sirkin, owner of Quest BMX. Yu Shoji and Takumi Isogai have been out in the Philippines with Viki Gomez doing shows in Manilla. In between shows Viki put together this sweet edit of Yu and Takumi sessioning, enjoy watching these two young bucks do their thing!. And thats a wrap on November!